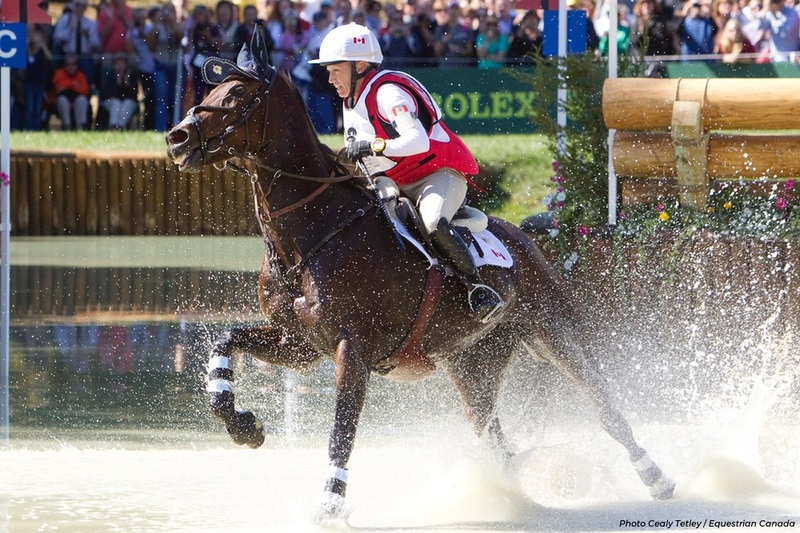 Hawley Bennett-Awad doesn’t hesitate when asked about Canada’s on-paper chances in the World Equestrian Games in 2010. In actuality, the Canadian team would surprise everyone with an emphatic silver medal finish, besting the likes of New Zealand and the United States. Her teammate, Stephanie Jenkins (nee Rhodes-Bosch), calls the weekend and the storybook ending a “perfect storm”. “Very rarely do the stars align,” Selena O’Hanlon, another member of the four-person team, which also included Kyle Carter as well as individual competitors Rebecca Howard and Jessica Phoenix, said. It wasn’t that the talent was lacking – it was there, in spades. It was a team of brass-knuckled riders with a varied group of horses, ranging from Olympic veterans to fresh-faced rookies experiencing their first championship. Led by chef d’equipe Graeme Thom and technical advisor David O’Connor, the team was, for all intents and purposes, a building squad full of raw talent, meant to set a foundation for years to come and secure a qualifying berth for the 2012 Olympic Games in London. 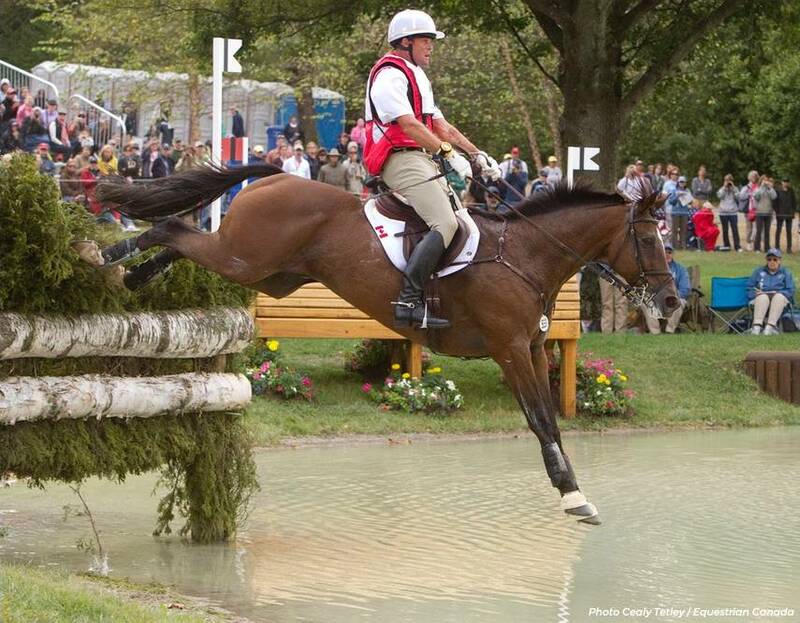 Canada was far from an eventing powerhouse at the time, running high on talented riders but low on suitable horses. But the team brought all the horsepower they could muster to Lexington in 2010 – and that horsepower opened the door to a Cinderella-worthy weekend. It wasn’t that the four horses and two reserves who made up the team were world beaters. It wasn’t that the riders had multiple podium finishes to bolster their confidence. The early media analysis of the contenders wasn’t predicting Canada to come in and clean house. Rather, it was sheer determination, perhaps mixed with a small tinge of rose-colored naivete, that propelled Canada within striking distance of the coveted podium finish after the cross-country phase. 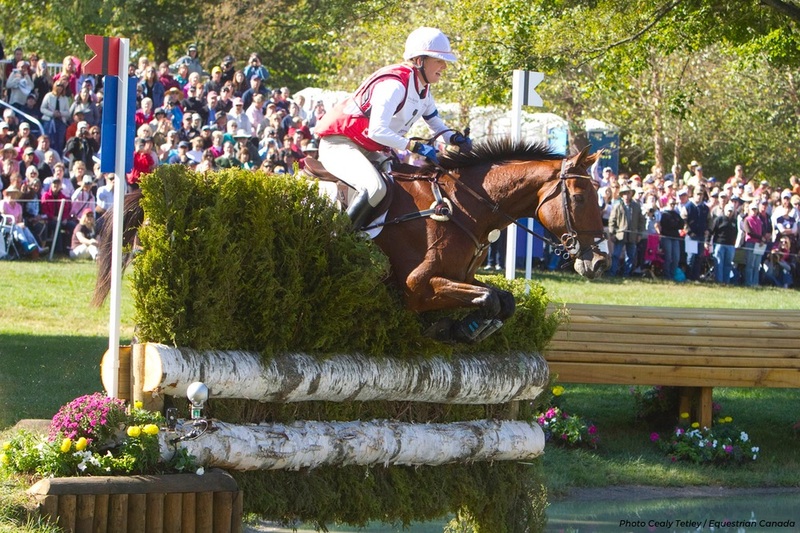 That sunny and warm Saturday in September, all four of the Canadian team members stormed around Mike Etherington-Smith’s cross-country course without jump penalties, and with just 11 seconds of time penalties in total. Suddenly, a medal was more than just an idea. For his part, Kyle was the glue, the mentor, the sounding board for his teammates when they needed the support. “Kyle was there as an anchor, and not just in the ‘team’ sense – he really did fill that role, and for me being so young I think I relied on him more than he knew,” Stephanie said. The other women are quick to concur with Stephanie – all naming Kyle as a common thread, the one who would put the team on his back when they needed a boost. “He saw me walking show jumping, and I must have clearly been nervous because he looked over at me and gave me some advice,” Selena recalled. On Sunday, Selena and Stephanie were perhaps feeling the most pressure – Selena, having struggled a bit to coax a clear round out of her Swedish Warmblood gelding, Colombo, wanted to finish strong. Stephanie, with arguably the best show jumping horse, Port Authority, was under pressure from herself to deliver for her compatriots. Neither should have worried. With the collective effort of all involved, Canada had made it, finishing in silver medal position less than a rail’s worth of penalty points ahead of New Zealand. The meteoric rise of Germany’s Michael Jung had begun that year – fans would repeat his name for years to come after his individual gold medal performance. 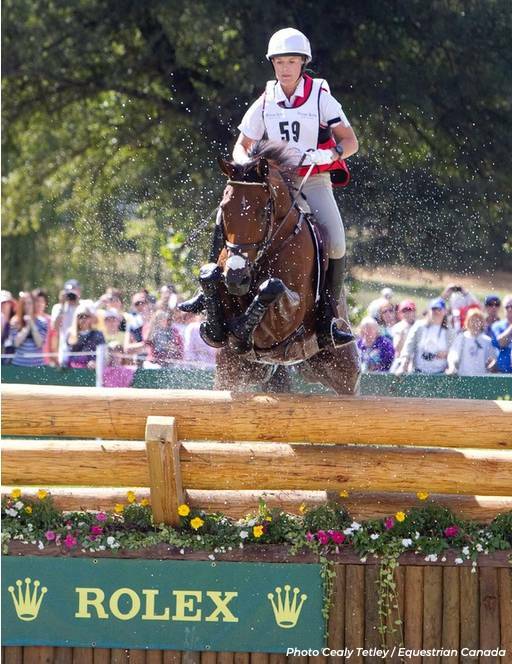 Great Britain flexed its eventing muscle with heavy hitters such as Mary King and William Fox-Pitt to take the overall win. But it was Canada – little, mighty Canada – that would be the story riders told over horse show beers back at the trailer. The memory still brings tears to Hawley’s eyes. Each team member carries with them today a piece of that once-in-a-lifetime autumn weekend in Kentucky. Kyle treasures the memory of his father, Gary, who passed away in May of this year, proudly walking around after the ceremony that evening with the medal adorning his neck. Selena calls her teammates her close friends and sisters. 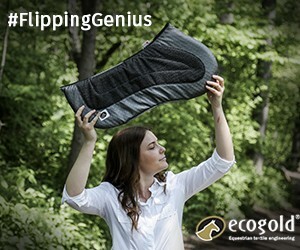 Stephanie says that her success that year set her up to run her own business today, retraining and selling off-track Thoroughbreds and made her eternally grateful for the support of her family. Hawley fondly remembers how much her cheeks hurt, the after effect of hours spent bonding and laughing with her teammates. Nonetheless, it was quickly back to life as we know it. In the hazy, beer goggle-tinged aftermath of the Games, the little red team that could went back to the daily grind – other horses needed to be trained, clients were waiting to resume their lessons, bills still needed to be paid. The stabling rows at Kentucky Horse Park slowly emptied, leaving behind just name cards, stapled to the stall doors, to tell the stories. The team traveled with massive, heavy tack trunks, which in the off-season were stored in Florida. The morning after, Kyle and Graeme were pushing the cumbersome trunks into a truck for return transport. Selena, who had done her own fair share of celebration at the Veuve Clicquot after party, looked over at Kyle, who nodded back in acknowledgement. “Back to living the dream,” he called over his shoulder.